Located in the southwest of Wales, Pembrokeshire is a county defined by its beautiful scenery and wonderful opportunities to enjoy the great outdoors. With a population of over 120,000 and a wide variety of property to be found ranging from Georgian town houses to suburban havens and spacious farms, there is plenty of choice to be found in the area. At My Home Move Conveyancing we have been improving our knowledge of property markets like Pembrokeshire since 2002, allowing us to deliver a quality conveyancing service to our clients across the area. When buying or selling property in Pembrokeshire, it will be necessary to obtain the services of a lawyer to carry out the legal work on your behalf. 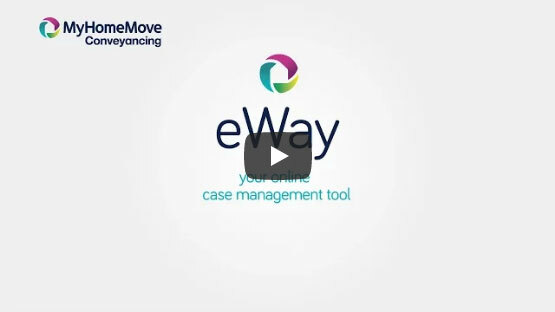 By choosing My Home Move Conveyancing you’ll gain access to our award winning levels of customer service, innovative use of technology and detailed expertise of the local market. Our fixed fee conveyancing service comes with no extra hidden costs, meaning you’ll know exactly what you’re paying from the beginning. What’s more, if you don’t end up moving, you won’t pay us a thing in legal fees. We assign a dedicated conveyancer to each of our clients – they will look after your case from start to finish, providing you with regular updates on any progress. They’ll also be your day-to-day point of contact. At My Home Move Conveyancing we can assist homebuyers across Pembrokeshire, from popular Tenby to picturesque St David’s and the affluent village of Bosherston. The average house price in Pembrokeshire is £133,108. During the past 12 months most sales involved detached properties which went for an average of £225,708. Terraces sold for an average of £139,571, while semi-detached properties fetched £137,117. With sweeping coastline forming three sides of Pembrokeshire’s border, the county is aesthetically stunning, littered with enticing bays and sandy beaches. Human settlement in the area is thought to date back over 100,000 years, while Pembrokeshire’s modern heritage is equally rich. Much of the county has been English speaking for centuries, although the Landsker Line still divides Pembrokeshire between Welsh speakers in the north and English to the south. The rural feel of the county is epitomised by the fact there are no motorways in Pembrokeshire, with the major roads being the A40, A477 and A487. The nearest motorway is the M4 in the east, which can be used to reach Cardiff before heading on to Bristol, Reading and London. There are a number of rail services on the West Wales Lines that can be used to reach other parts of the country, with trains to Cardiff departing from Pembroke every two hours. There are a number of good schools in Pembrokeshire that families with children can choose from, including Pennar Community, Ysgol Ger y Llan and Coastlands County at primary level. Secondary options include Fishguard High, Milford Haven, Netherwood and Pembroke School. Many areas within Pembrokeshire charge additional parish precepts.